Faber & Faber. Used - Good. Shows some signs of wear, and may have some markings on the inside. London: Faber. Very Good Bright & Tight Condition 8vo Wraps lt. spine edgewear. 1960. From Larry McMurtry's "Last Book Sale", Archer City, TX, August 2012 few pages with ink check marks . Faber and Faber, 1963. Paperback. Good. 1963. 195 pages. Orange and blue paperback book. Contains black and white illustrations. Pages and binding are presentable with no major defects. Minor issues present such as mild cracking, inscriptions, inserts, light foxing, tanning and thumb marking. A few dog-eared pages. Paper cover has rub wear and marking with forward lean and tanning to spine. Some creasing and tearing to corners, edges and spine. Faber & Faber, 1960. Front end page removed by library. 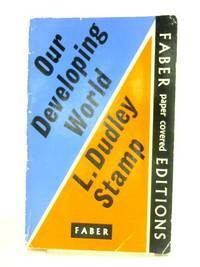 This book has soft covers.Ex-library,With usual stamps and markings,In fair condition, suitable as a study copy.